December 4 2015: Young people have a lot to contribute to peacebuilding in Bangladesh. But they need more support and guidance, argues G M Shoeb. Young people are and will be key actors in Bangladeshi development and peacebuilding. They have had an important role in the history of Bangladesh, contributing at key points and extending their hands to build and keep peace. For example, during the fall of the military dictatorship in 1990, students roared against the military ruling so that democratic practice could be re-established, a prerequisite for an effective peacebuilding environment. Indeed, young people are deeply concerned to support local development, and over the decades they have engaged in various types of peacebuilding activities, knowing that quality leadership, organised efforts and the implementation of effective strategies can contribute to peacebuilding and development. 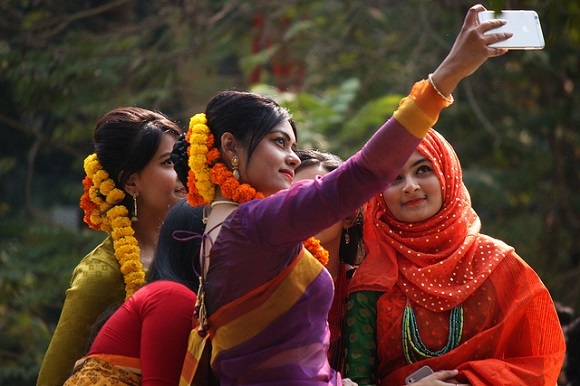 According to the National Youth Policy of Bangladesh, youth are those aged 15 to 35, or a third of the total population in Bangladesh. They are willing to volunteer and donate their time and expertise without expecting profit, but they lack a key platform to give them the chance. But young people are now rising against these obstacles, with the help of established organisations or through their own initiatives. For example, the British Council’s Active Citizens programme works with participants who discuss social issues including sexual harassment. For example, Action Aid Bangladesh runs an integrated programme for adolescents, enabling them to contribute to the slum areas of Dhaka and Chittagong. This has supported tremendous work in diminishing conflicts in the Chittagong hill tract between indigenous and other Bengalis. Young people have also taken part in a number of programmes to help resolve conflict issues around combatting violence against women. For example, they developed a key newsletter; with appropriate training, they have helped weave harmony between indigenous people and Bengalis by allowing them to showcase their respective literary culture through the newsletter. Mojar Eshkul, or ‘School of Fun’, is a social media based organisation that supports education for street children. Education clears the way for ensuring public rights. So as these children are provided with a chance to study, they will learn about their rights and later be able to contribute to the advancement of peace building. Similarly, the Lighter Foundation, a youth based platform, started its journey in 2014. Formed out of a social media campaign, it currently has 210 members. Everyone donates 101 BDT per month to facilitate various programmes, which aim to link peacebuilding with social welfare. Their activities help marginalised people, provide financial aid to those in needs, and help the victims of natural disasters. They believe that societal welfare can support peacebuilding and ultimately a serene society. Youth engagement in peacebuilding is a powerful tool, but there are two sides to every coin. Young people are not well integrated into the NGO scene in Bangladesh. They are looked down on by sponsors and sometimes by political leaders, who traditionally see them as being inferior to their elders. Despite many achievements, this social perspective remains unchanged. Another downside is the mindset of the youth. My personal perspective is that young people are filled with vigour. But they need to use this properly, which is difficult with the present lack of guidance. Sometimes they pick the wrong road to establish peace-building and eventually end up in failure. So initiatives to get the best out of them will be key. The government does have a National Youth Policy, but the implementation of that policy in a more pragmatic way needs to take place. including providing clear opportunities for young people to explain their demands and expectations. Along with this, a coalition of youth-based NGOs should be developed, to provide a base and support for youth peacebuilding. Local groups should actively engage young people in all their research and activities: they are a source of motivation, and we should help fuel their aspirations to build a peaceful society in Bangladesh. 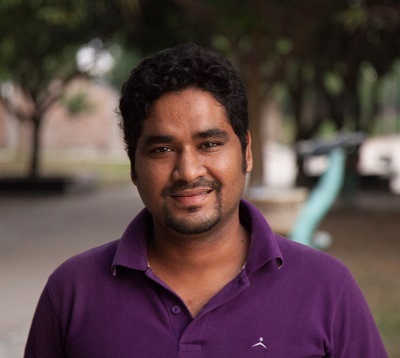 Shoeb Ahmed is Insight on Conflict's Local Correspondent in Bangladesh. He has extensive experience in peacebuilding, youth development, small arms control, human security, women’s rights and entrepreneurship. You can help broadcast the work, experiences and opinions of local peacebuilders through the social media tabs on your left. As a forum for peacebuilders we actively encourage debate, and so if the above piece provoked any thoughts or opinions please share them in the comment box below.